Following the success of the AniCare® program, we produced the AniCare® Child Assessment and Treatment Approach for Childhood Animal Abuse. 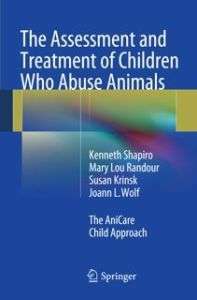 This handbook is for therapists in social work, psychology, psychiatry and allied fields who work with children who have abused animals. Updating the original publication (2002), this second edition is intended as a self-guided package and includes two DVDs. The text includes two assessment instruments, numerous case studies, and excerpts from sessions. The two DVDs feature (1) role-played assessment and treatment and (2) workshop presentations of the pedagogical material. The theoretical frame is eclectic, including cognitive behavioral, psychodynamic, and attachment theories. Informed by the experience of presenting the approach (both juvenile and adult versions) in 65 workshops in 22 states and an online course through the Graduate School of Social Work at Arizona State University, I added in the second edition more consideration of the effects of witnessing animal abuse, more material on working with parents, more use of attachment theory as a frame, and a section on trauma-informed narratives. The ASI provides training in the approach through workshops and an online course. Experienced providers can also gain proficiency through the use of the handbook and supplementary materials that include a demonstration DVD of role-played counseling sessions and a DVD of a partial workshop. A group of senior-level therapists are certified to lead workshops as well as provide consultation. We also maintain a dedicated listserv for providers using the approach. 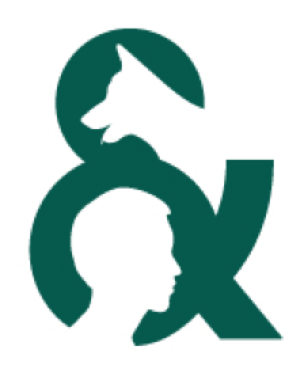 The ASI recognizes the Kenneth A. Scott Charitable Trust and the Doris Day Animal Foundation for their generous support of this program. Click here to purchase the AniCare® Child Handbook.